Proven experience. Keen insight. Bottom-line results. Every business owner wants to feel like they aren’t alone when they need help. More importantly, every business owner wants their business to succeed. While Natalie R. Lynch provides reliable service, she prides herself on providing efficient service. 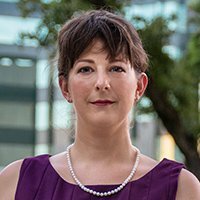 When you work with her on your business dispute, workplace investigation, or simply day-to-day operations, you will benefit from her years of experience guiding Austin businesses to long-term success. Preparing and maintaining documents is an integral part of any business. Natalie will help you navigate the process of forming your business and providing proper documentation anytime it’s needed. Natalie will help you evaluate your short-term and long-term business goals. She will apply her legal knowledge to anticipate problems your business may face, giving you peace of mind that you’re covered. You work hard to build up your business assets, but that doesn’t mean that they can’t be lost. Natalie will work with you to secure and protect your business assets so that you can reap the rewards of your hard work. Natalie R. Lynch understands that a law firm should be timely, transparent, and supportive as they assist a business through the steps associated with formation, employment law, agreements and contracts, workplace discrimination, and dispute resolution. Natalie R. Lynch advises her clients on the legal aspects of their business so that they can focus on achieving their company goals.